DC ALL ACCESS - IT'S DC JIM, BUT NOT AS WE KNOW IT! 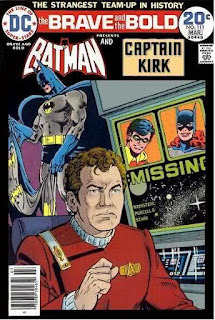 Riddle me this, riddle me that, what do you think the difference is between Captain Kirk and a day-glow bat? Answer: I'm not telling you. Tiff and Jay will in one of the following video clips from DC All Access. Here, check this out for all you need to know about the wonderful world of DC. Next month DC Comics will be releasing their new mobile game, DC Legends, so in this episode we can exclusively reveal four new characters that you'll be able to add to your roster, as well as ask a few of our friends which heroes and villains they'd want to see. We also look at some of this week's new comics, including the newest DC Super Hero Girls graphic novel by Shea Fontana, and drop in on last week's amazing UN Wonder Woman event featuring Gal Gadot and Lynda Carter. Do you feel like you've missed out on some of the great things that took place at New York Comic Con this year? Well, have no fear, because Jason and Tiffany went and brought back all of the DC news you need. They took a trip to the set of Gotham to find out the latest devious doings with Erin Richards, Richard Berg, Jessica Lucas, and Drew Powell. Then once that was over, they also checked out the report from Dylan Lauren herself, AKA the CEO of Dylan's Candy Bar, who launches their sweet celebration of Wonder Woman 75. Want to know what’s next in DC’s epic Rebirth story-line? Be among the first to find out when Jason sits down with publisher Dan DiDio to tease out some of the juiciest secrets coming up in Batman, The Flash, Nightwing, Aquaman, and Batman Beyond! Yes, there is A God, Adam West is returning to the role he made famous in the new animated movie, Batman: Return of the Caped Crusaders. In this clip, we talk to West about the key to Batman's voice, how it felt working with Burt Ward and Julie Newmar again, and what we can expect from the just-announced sequel, featuring William Shatner as Two-Face! Just in time for their eagerly awaited debut on DC's Legends of Tomorrow, DC All Access looks back at the Justice Society's 75 years of comic book history, revisiting ten of their most memorable moments. From their formation to their recruitment of Kingdom Come's Superman to their run-in with Legends' Rip Hunter, this is JSA at its finest. Tiffany talks to Rocksteady's Gaz Deaves about the highly anticipated video game, Batman: Arkham VR. What are some of the things you'll get to do and experience? Who will you be interacting with? 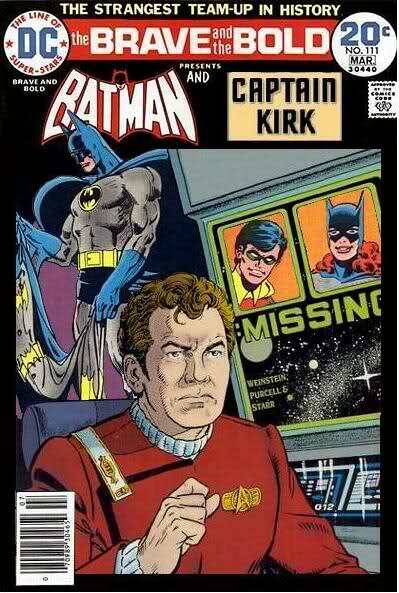 And what do you think it would feel like being Batman investigating the murder of his partner, Nightwing? #DCAA and the gang have the answers!